Amarone della Valpolicella, usually known as Amarone, is a typically rich Italian dry red wine made from the partially dried grapes of the Corvina (45–95%, of which up to 50% could be substituted with Corvinone), Rondinella (5–30%) and other approved red grape varieties (up to 25%). Valpolicella is in the province of Verona, within the large Veneto region near Venice. 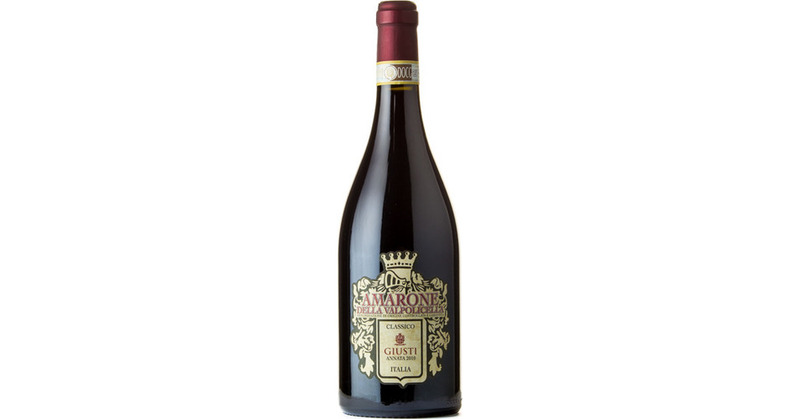 In Italian, the name Amarone literally means “the Great Bitter . Grapes are harvested ripe in the first two weeks of October, by carefully choosing bunches having fruits not too close to each other, to let the air flow. Grapes are allowed to dry into raisins. During the aproximate 4 months that this occurs, the grapes will lose 30-40% of their weight. The result is intense concentration and a very high sugar content, which in turn translates into 15% or higher alcohol levels.